It is so convenient to have everything in one place. And when you are planning your trip the last thing you want to do is jumping around the different web pages searching for a private tour guide or cheap airline tickets. But TravelPapa has it all sorted out for you. Our main goal is to provide an accessible booking platform for travelers from all over the world. The one single website where you can find the lowest international airfares and the best tours and excursions worldwide. And today we wanted to tell you about one small, but very handy feature you can find useful while booking a tour from TravelPapa Private Tour Guides – Nearest Airports. So you are searching for a tour or an excursion and as you are looking through all the amazing offers we have on TravelPapa.com, you want to check the airfare deals to your destination. For this occasion, we have a Nearest Airports section on every tour page. In this section you can see up to 3 main airports that are located close to the excursion meeting point. By clicking on “CHECK IT” button next to the airport name you will open a popup window with a very easy-to-use search form. Your current location will be used to fill automatically the “FROM” field, so all you have to do is choose the departure date and the number of passengers and click the “SEARCH” button. On the search results page, you can choose the best option for you using the different search filters or choosing TravelPapa recommended fare. Round Trip – With this option you can choose a returning date to book the return tickets simultaneously with your main flights. One Way – This option is set by default. Use it if you need a one-way ticket to your destination. 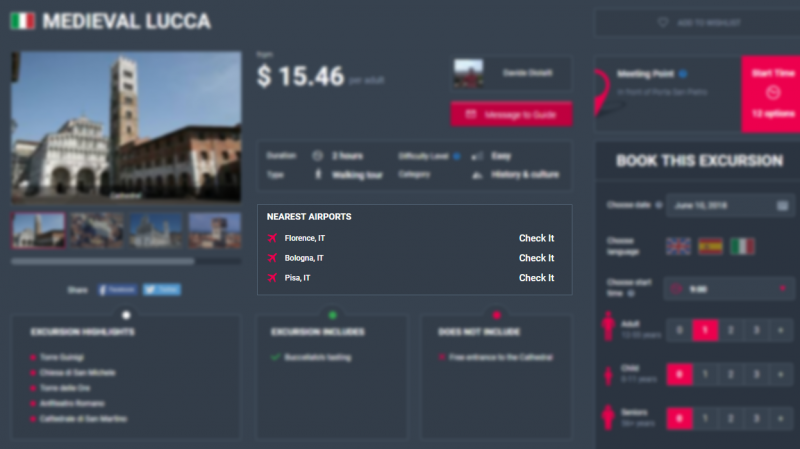 Multi-City – In this tab you can add up to 4 different flights for your trip. Nearby Airports - Check this checkbox if you want to consider nearest airports to your departure or arrival airport in your search. Try this amazing feature on your next tour booking with TravelPapa Private Tour Guides to get the best international airfares!